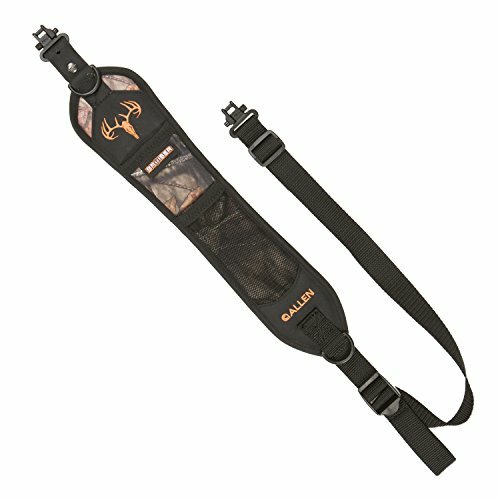 Gun slings allow you to store your hunting rifle at your side or over your back while you trek in and out of your hunting location of choice. A gun sling can allow you to have your hands free when climbing over tougher terrain, and can help you store your gun safely out of your way while maneuvering around tight spots. A gun sling connects to both the stock and the muzzle of your rifle and acts as a form of support for both ends, allowing it to be balanced over your shoulder or across your back without having to be stored out of the way in a bag. The perks of a gun sling are that it allows you easy access to your rifle at a moment’s notice, without requiring you to remove it from a zipped storage case. This allows you to target prey on a dime without having to stress about if your gun is ready for use. Adjustable from 33" to 44"
The 2 point sling is made from a high density nylon material which provides a long lifetime of the product. 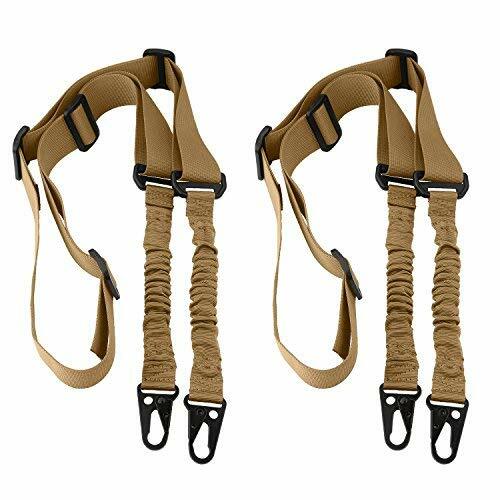 The rifle sling can have other purposes, it can be used as Gun Sling, Shoulder bag, Camera bags or even a safety rope. It is easy to carry. A good gun sling is made out of durable, long-lasting materials, such as industrial nylon, that allow your gun to remain supported close to your body, despite various degrees of movement. Gun slings can come in both clip and slip-knot-based varieties, which attach to your gun to provide support. A good gun sling should have some form of reinforced cordage to ensure that the gun sling itself has a long and useful life despite prolonged wear and environmental factors. Most gun slings are adjustable, allowing you to customize the tightness of the strap for various situations, as well as letting you slip the gun sling over many layers of clothing comfortably without risking irritation and chafing. Gun slings come in a wide range of size and length options, which allows you to match up the gun sling to the ideal rifle. They are also useful for a wide range of situations besides carrying your rifle, from using them for camera bag straps to an improvised broken backpack strap, making them a crucial item for use both out in the field while hunting and at home. 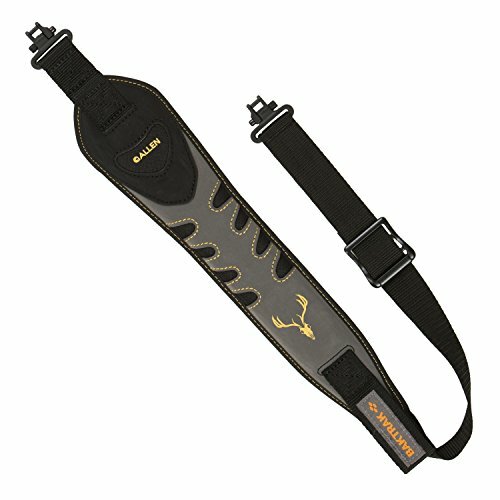 When trying to pick out the right gun sling for your hunting kit, keep in mind the various uses that you intend for the sling, as well as your price point. While more complex strap systems may be more expensive, they tend to have additional comfort, storage, and security features that make them useful for longer trips. A simple clip gun sling may work well for a modern hunting rifle, as it can attach to parts of the stock and muzzle without issue. However for older rifles you may want a slip-knot based hunting gun sling to make it easier to attach the gun sling to your rifle. Waterproof or heavy-duty fabric options can help ensure that your gun sling operates for years to come, and can help protect your shoulder and your rifle from wear and tear along the way. 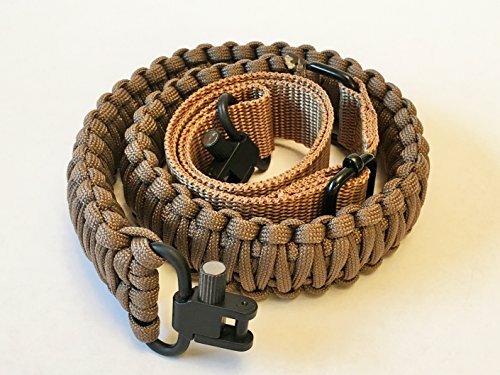 Whether you are looking for a simple gun sling to help carry your hunting rifle, or a more complex set of straps with storage areas for duck calls and other small tools, a gun sling can help keep you from becoming over encumbered on your hunting trip.